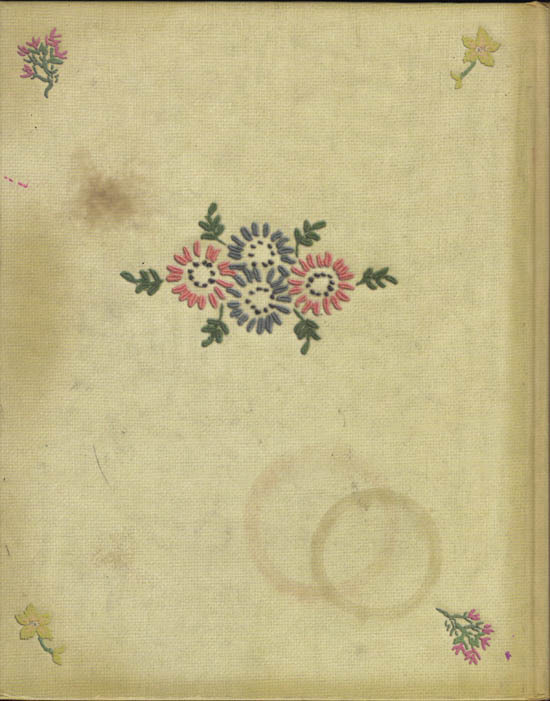 Today I am sharing a cookbook with a difference ... Maw Broon's But An' Ben Cookbook has got to be the most creative and visually appealing cookbook I have seen. 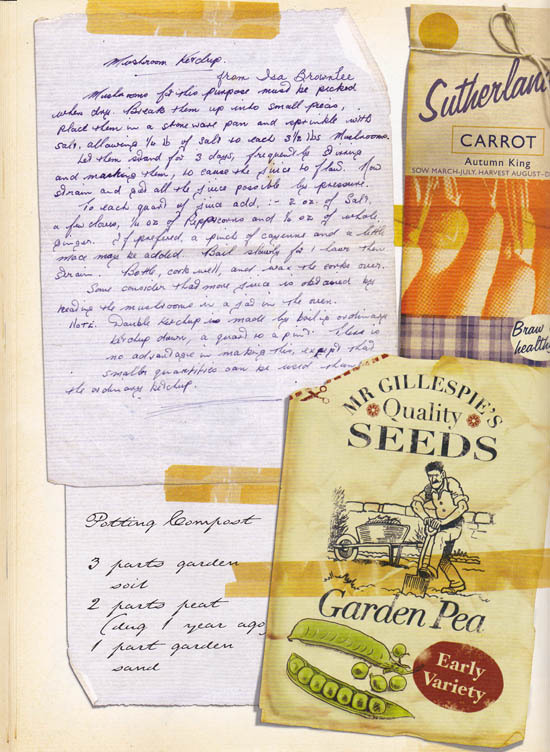 It is crammed full of family home cooked food and personal recipes that have clearly been collected over time and passed down from generations that date back to 1940. 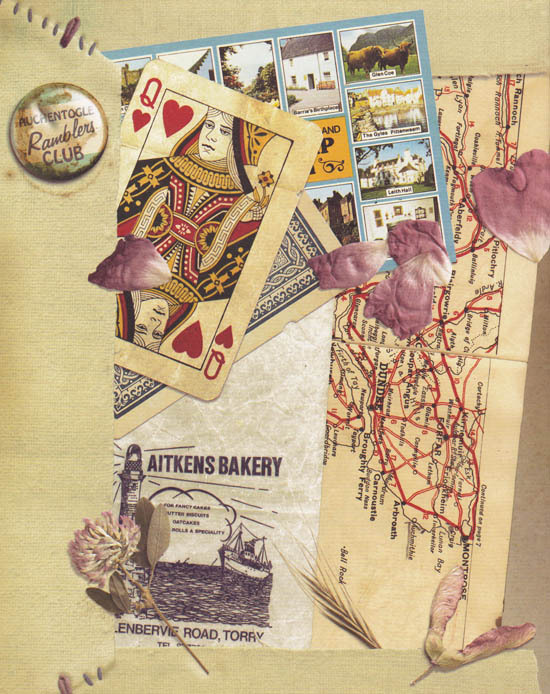 However the way it has been presented, to me, is what makes it so special. 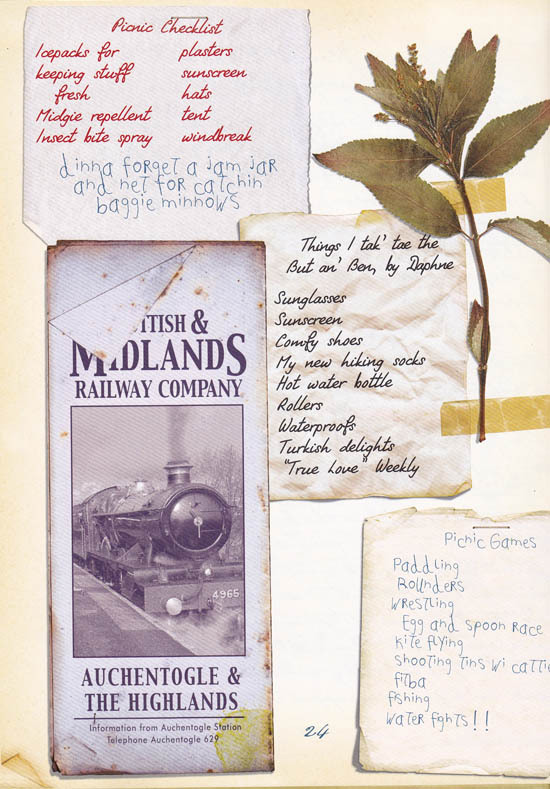 Every page is bursting with jokes, pictures, cuttings, photographs and good old fashioned hand written recipes and comments. 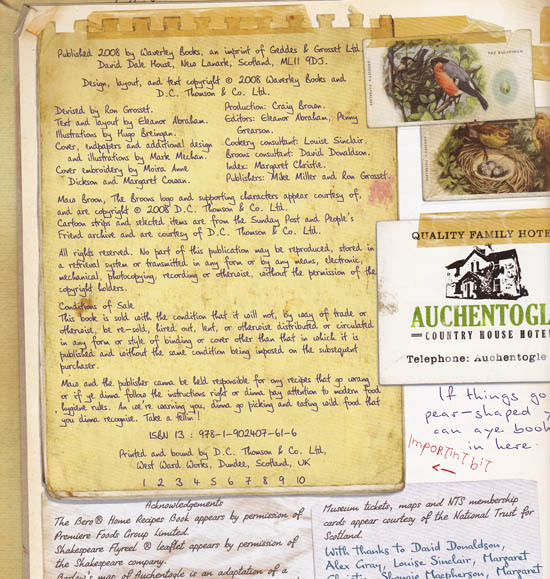 There is memorabilia tucked into the pages including hand embroidery, dried flowers and postcards and aged effects have been added to the pages like coffee cup marks, old sellotape, stains, staples and curled edges which make this look like a real scrapbook cookbook. 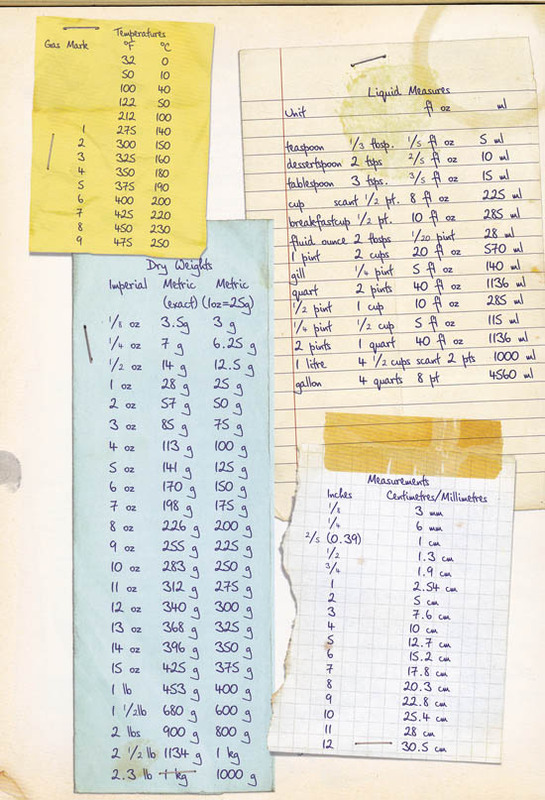 It sounds silly, but I actually haven't read any of the recipes, this unusual book purely serves as a creative visual resource. But if you do treat yourself, please recommend some of the recipes. 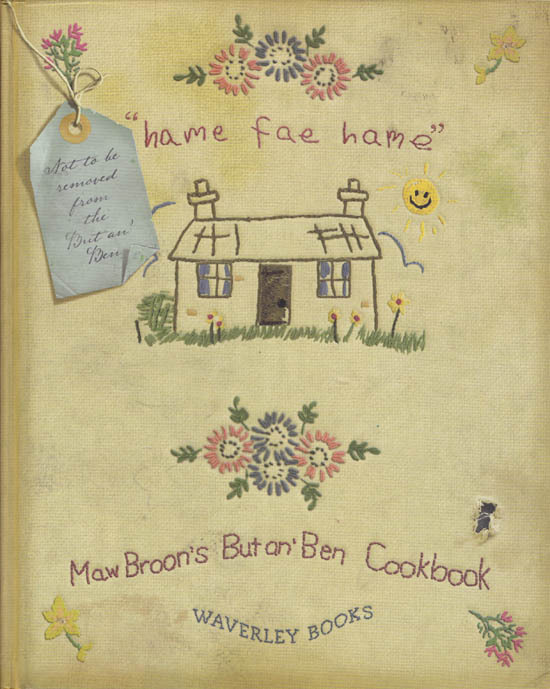 Maw Broon's But An' Ben Cookbook is available to add to your collection by clicking on the Amazon link to the left!